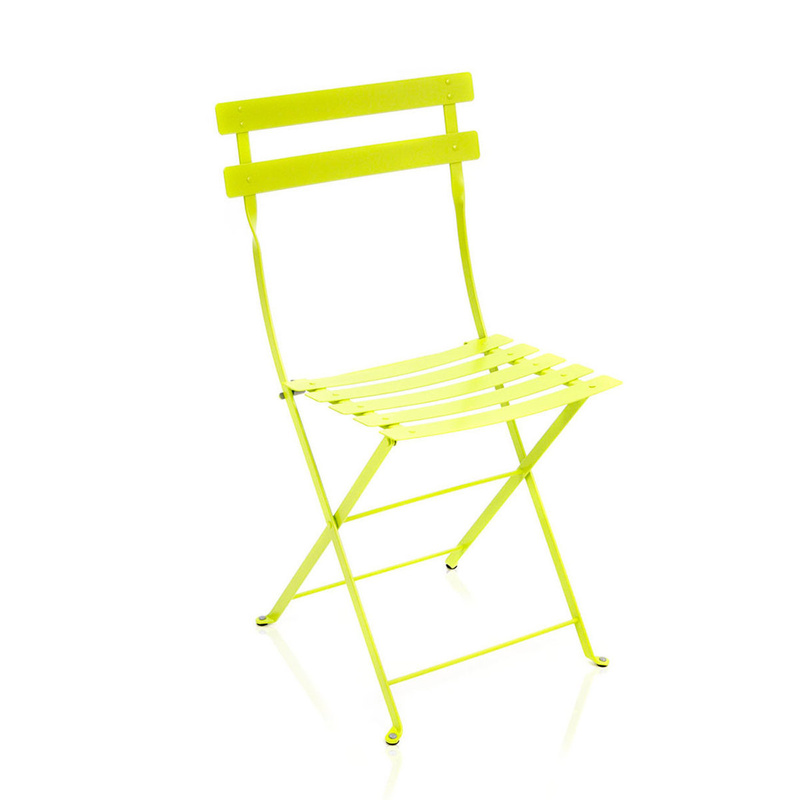 Colour, style, safety and durability - all in one slender folding chair. 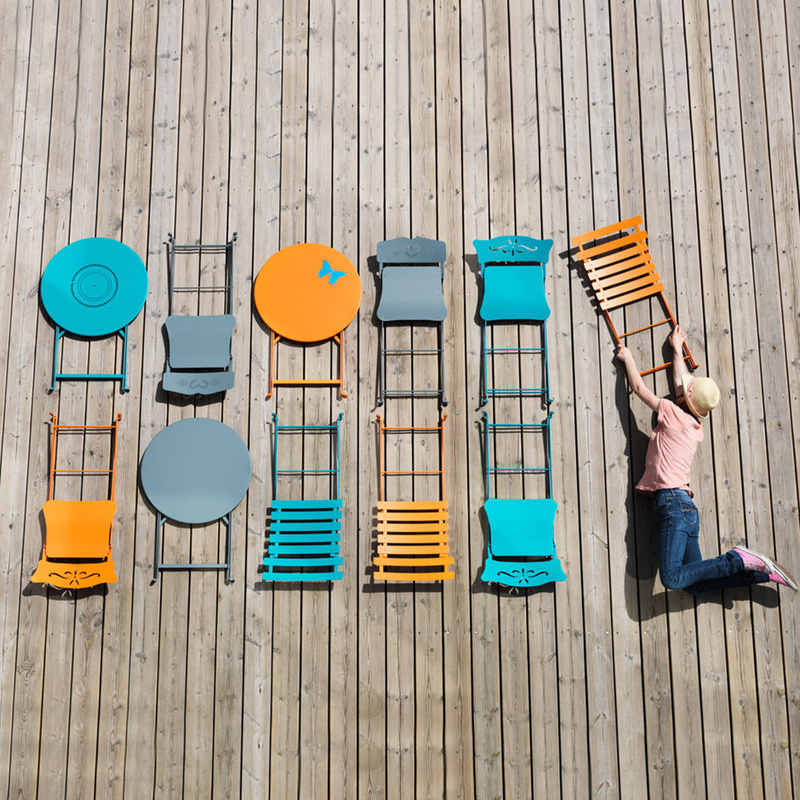 Metal Bistro chair by Fermob is a masterpiece of outdoor furniture. It offers a link between past and present, between tradition and the most modern and functional design. Over time it has been renovated using innovative materials and adapting it to modern time needs - but the original design still stands. 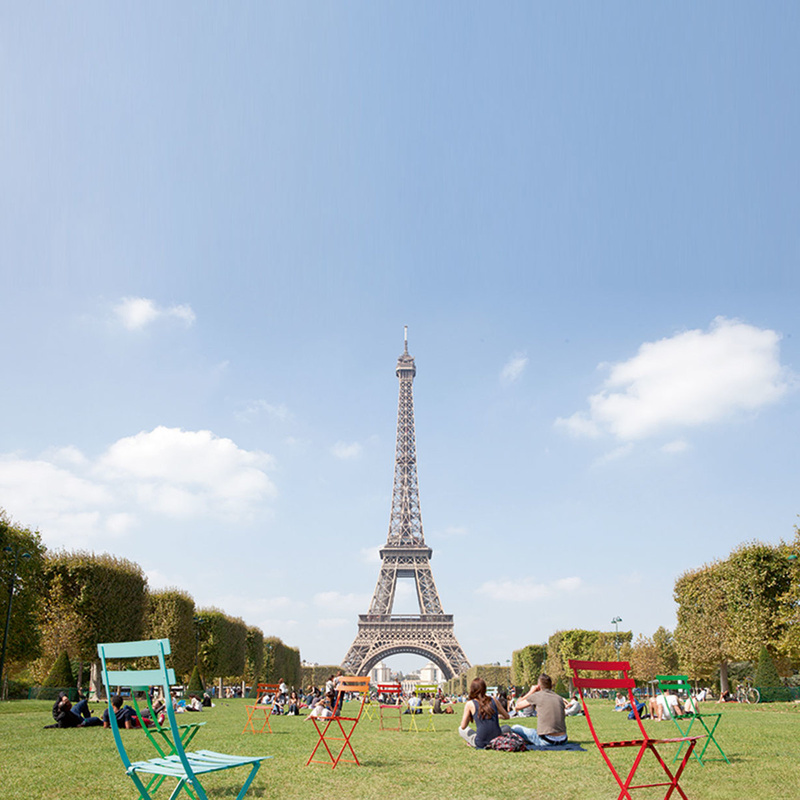 The Bistro chair in a smooth satin finish is the perfect chair for your outdoor areas. This iconic chair was first designed in 1880s to make it easier to find quick, versatile seating solutions for lemonade kiosks of the time. Being foldable, these chairs could be folded up and removed in no time at all, thus avoiding the need for lemonade sellers to buy special licenses. 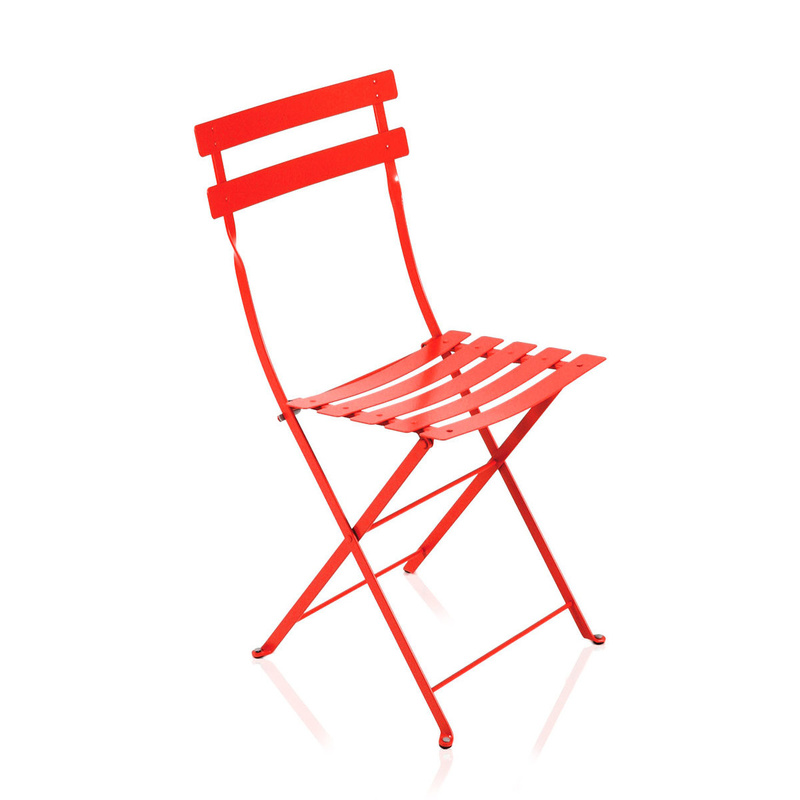 These chairs have a steel frame and galvanised steel curved slats. They come in two colour options - verbena and poppy red - so that you can choose the one that best suits your interiors and your personal style. These chairs have a one-year warranty so that you don't even have to worry about them breaking or not withstanding weather conditions. 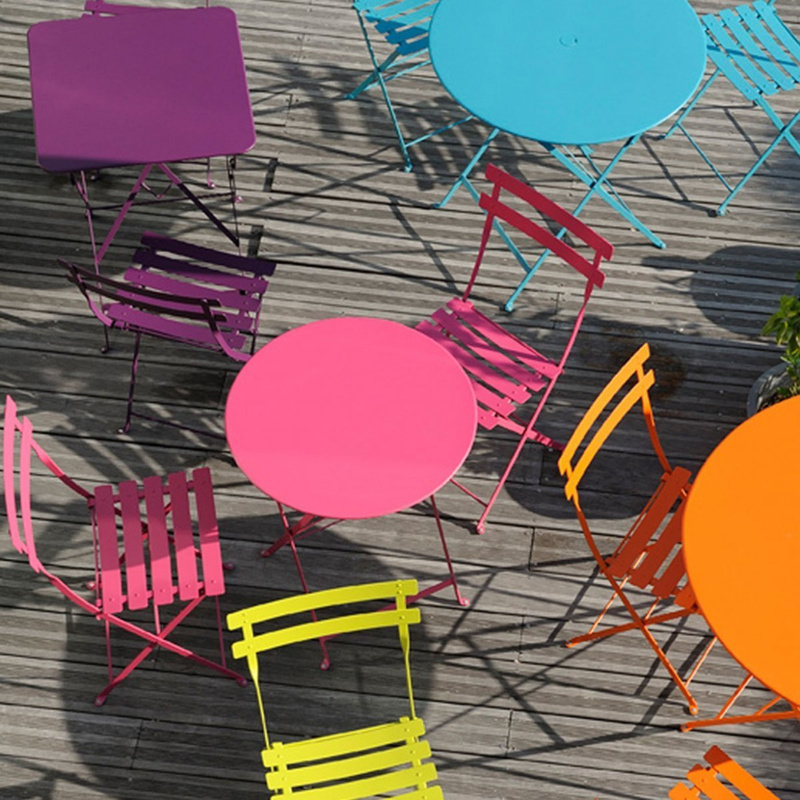 Their surface is treated with a special anti-UV coating, in order to prevent colours from fading. 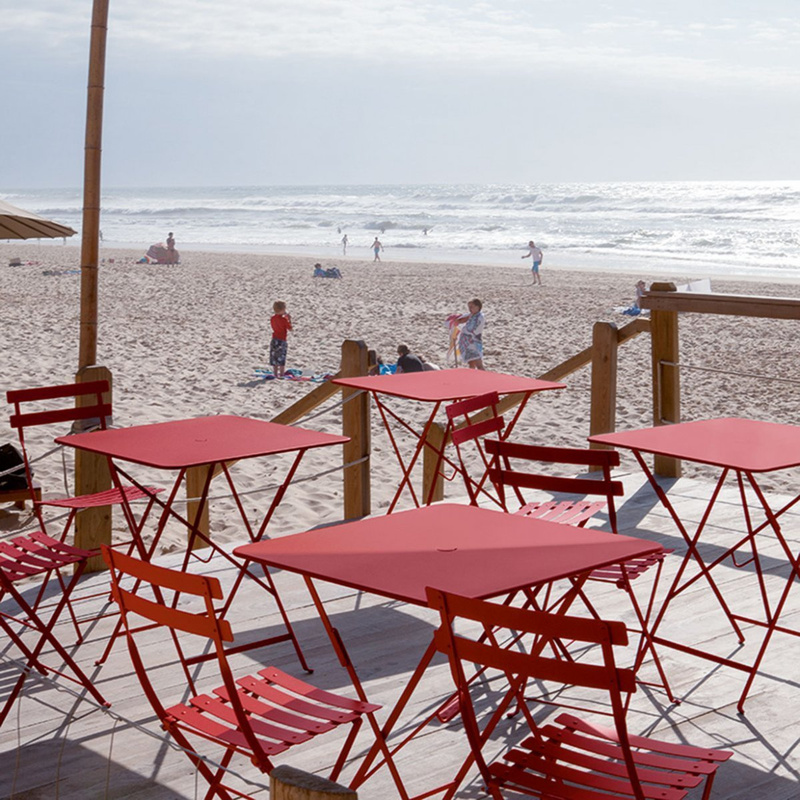 This way you are sure that your favourite Metal Bistro chairs by Fermob will be with you for many years to come. 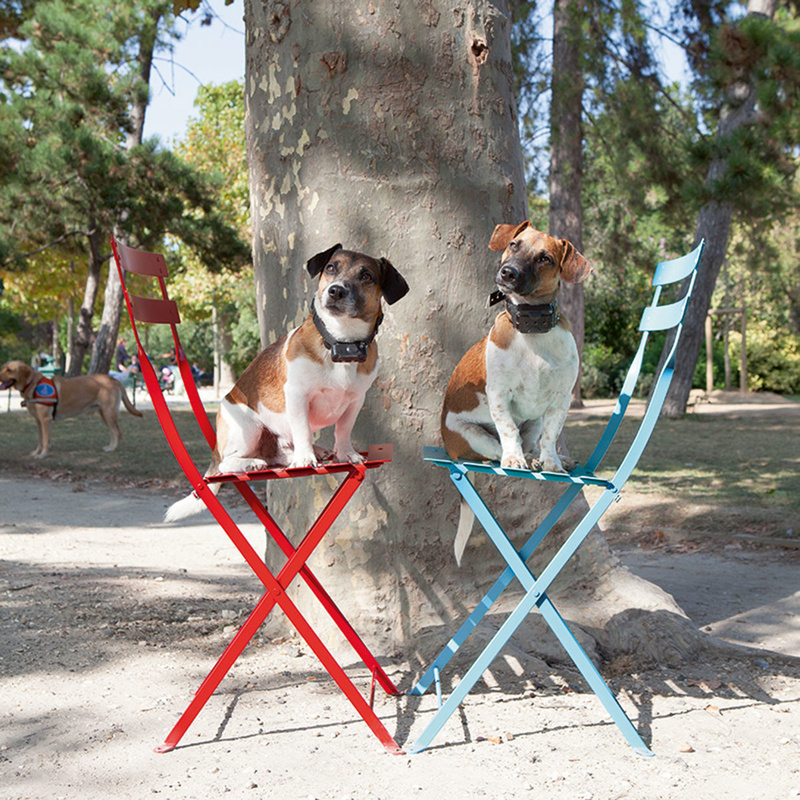 These chairs blend a unique seating comfort with exceptional practicality. In winter time, when it's raining or whenever they are not in use, they can be folded up in one simple move and stored away in any closet, cabinet or - why not? - behind the door! They will take up as little room as possible - guaranteed. 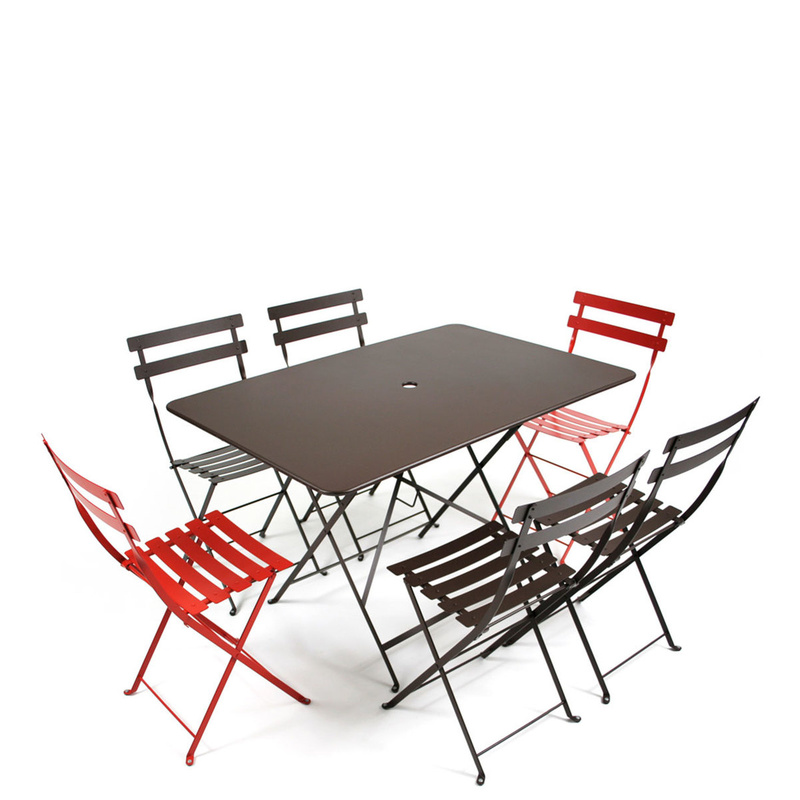 Fermob is a French premium brand and a specialist in outdoor furniture. It guarantees top quality, durability and safety.